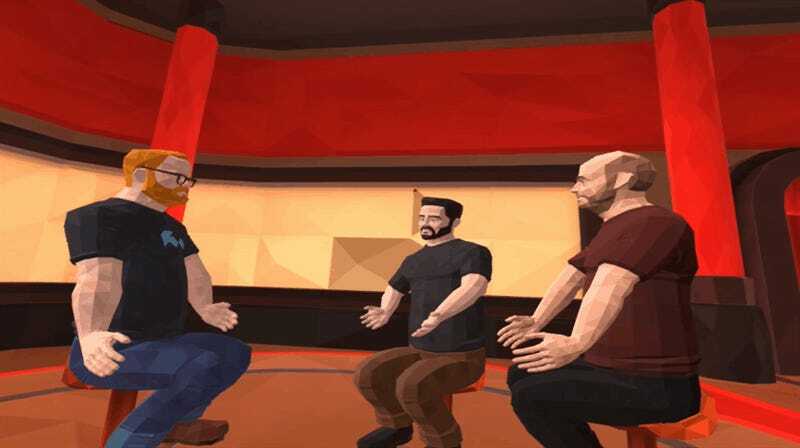 The first episode of The Foo Show, a virtual reality-based talk show hosted by Tested’s Will Smith, begins with a trio of gawky avatars sitting around discussing the game Firewatch. Then they step inside, and it’s pretty magical. Smith and his guests, Campo Santo’s Jake Rodkin and Sean Vanaman, move jerkily about like old Thunderbird puppets as the show begins, turning to watch footage of Firewatch on a virtual screen as they talk. 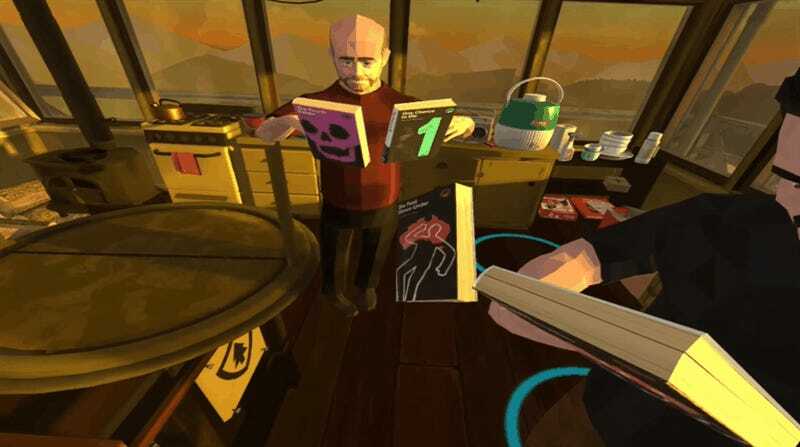 But at around the three minute mark in the YouTube video of the episode, uploaded by Game Hard 4.0, the trio step inside the game’s watch tower, recreated for the show using assets provided by Campo Santo. They wander around the area, picking up objects and talking about their creation. They pass props from hand-to-hand, duplicating them on the fly. It’s like a developer walkthrough, only with the developers really there. Well, virtually there. It’s a bit crude and clumsy at times, but the potential of Smith’s show is tremendous. Without having to worry about creating physic sets and transporting guests, indeed stripping away most of the limitations of traditional talk shows, there’s no telling where it could go next. The first episode of The Foo Show is available to watch free in the Oculus Home app for the Rift. You can read more about the show’s inception and future plans here.